1. 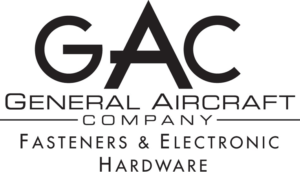 DEFINITIONS: “Seller” means General Aircraft Company, GAC means General Aircraft Company. ” Buyer” means business entity or private party that provides Seller with a purchase order or other procurement document. 2. ACCEPTANCE: Acceptance of any order is subject to credit approval by Seller, acceptance of the order by Seller and, when applicable, Seller’s Vendor (i.e. manufacturers, vendors, or other third parties that provide goods to Seller for resale to Buyer). If Seller, in its sole discretion, determines that Buyer’s credit becomes unsatisfactory or it has reasonable grounds for insecurity, Seller reserves the right, upon notice to Buyer, to demand adequate assurance of due performance from Buyer and/or terminate this agreement with no liability to Seller. BY REQUESTING A QUOTE FROM SELLER OR PRESENTING AN ORDER TO SELLER, BUYER CONFIRMS THAT THESE TERMS & CONDITIONS SHALL GOVERN ALL PURCHASES OF GOODS (i.e. GOODS, MATERIALS AND/OR SERVICES PROVIDED TO BUYER BY SELLER) BY BUYER FROM SELLER, AND NO CHANGES OR ADDITIONAL OR DIFFERENT TERMS (CONTAINED IN A PURCHASE ORDER ACCEPTED BY SELLER, OR OTHERWISE) WILL CHANGE THESE TERMS & CONDITIONS UNLESS ACKNOWLEDGED IN WRITING AND SIGNED BY AN AUTHORIZED REPRESENTATIVE OF SELLER. NO SELLER EMPLOYEE OR AGENT HAS THE AUTHORITY TO MODIFY THESE TERMS & CONDITIONS VERBALLY. SELLER OBJECTS TO AND REJECTS ANY TERMS BETWEEN BUYER AND ANY OTHER PARTY, AND NO SUCH TERMS, INCLUDING BUT NOT LIMITED TO ANY GOVERNMENT REGULATIONS OR “FLOWDOWN” TERMS, SHALL BE A PART OF OR INCORPORATED INTO ANY ORDER FROM BUYER TO SELLER, UNLESS AGREED TO IN WRITING BY AN AUTHORIZED REPRESENTATIVE OF SELLER. 3. PRICES AND TAXES: Buyer agrees to pay the prices quoted by Seller and is responsible for additional applicable shipping and handling charges, taxes and duties. Seller shall collect applicable taxes unless Buyer submits a valid tax exemption certificate, and indicates which Goods are covered by it. Prices on special-order Goods may be subject to change before shipment; Seller shall notify Buyer of any change, and Buyer may at its discretion cancel the special-order Goods if the revised prices are unacceptable, without charge other than applicable Vendor related charges. 4. PAYMENT: Payment terms are 30 days net from the invoice date, or upon such other terms approved by Seller in writing. Payment is not contingent on Buyer’s ability to collect or obtain funds from any other party. Credit card sales are billed at the time of shipping. Buyer expressly represents it is solvent at the time it places any purchase order with Seller. Seller, in its sole discretion, may determine that Buyer’s financial condition requires full or partial payment prior to manufacture or shipment. If Buyer fails to make any payment when due, Seller reserves the right to suspend performance. Buyer agrees to pay a charge on all amounts past due at the rate of 1 ½% per month (18% per year) or the maximum lawful rate, whichever is less. In the event of non-payment, Buyer agrees to pay Seller’s reasonable attorney fees and court costs, if any, incurred by Seller to collect payment, and all applicable interest charges. Seller may apply payments to any outstanding invoices unless Buyer provides specific payment direction. 5. TITLE AND RISK OF LOSS OR DAMAGE: All sales are F.O.B., point of shipment, and Buyer takes title and assumes responsibility for risk of loss or damage at the point of shipment for all sales. Claims for Goods damaged in transit are Buyer’s sole responsibility when not delivered by Seller’s truck. 6. QUOTATIONS: All quotations expire thirty (30) days from the date of the quotation unless otherwise noted on the quotation. This time limit applies even if Buyer uses the quotation to submit a job or project bid to any other party. All lead times are Subject to Factory On-Time Delivery. Minimum orders quantities and value may apply. 7. ASSIGNMENT: An order shall not be assigned by either party without the express written consent of the other. Consent will not be required, however, for internal transfers and assignments as between either party and its affiliates, and nothing herein shall limit sellers right to factor or sell receivables. 9. CANCELLATION, CHANGE OR TERMINATION: Any cancellation, change or termination of an order, in whole or in part, is subject to GAC’s prior written consent and maybe subject to restocking and/or cancellation charges. Shipping dates given in advance of actual shipment are approximate and are not guaranteed. 10. INTERPRETATION RESPONSIBILITY; PRODUCT USE AND SAFETY: Seller does not guarantee that the Goods it sells conform to any plans and specifications or intended use. When plans and specifications are involved, Buyer is solely responsible for verifying Seller’s interpretations of such plans and specifications, and it is Buyer’s sole responsibility to assure that Seller’s Goods will be accepted on any specific job. When Seller offers substitute Goods on any proposal, Buyer is solely responsible for confirming their acceptability. 11. DELIVERY: Factory shipping dates given in advance of actual shipment are approximate and not guaranteed. 12. EXCUSABLE DELAYS: Seller shall have no liability if its performance is delayed or prevented by causes beyond its reasonable control, including, without limitation, acts of nature, labor disputes, government priorities, transportation delays, insolvency or other inability to perform by Seller’s Vendor, or any other commercial impracticability. In the event of any such delay, the date of delivery or performance shall be extended for a period equal to the time lost by reason of delay. Should shipments be held or stored beyond the delivery date for convenience of Buyer, Seller may, at its option, assess reasonable charges for any expense incident to such delay. 13. CLAIMS: Claims for any nonconforming Goods must be made by Buyer, in writing, within ten (10) days of Buyer’s receipt of such Goods and must state with particularity all material facts concerning the claim then known to Buyer. Failure by Buyer to give notice within such ten (10) day period shall constitute an unqualified acceptance of such Goods by Buyer, and a waiver of any right to reject or revoke acceptance of such Goods. (a) SELLER’S WARRANTIES: Seller warrants that all Goods sold are new unless otherwise noted and, upon payment in full by Buyer of the Goods, free and clear of any security interests or liens. Buyer’s exclusive remedy for breach of such warranties shall be replacement with a new product or termination of any security interests or liens. Seller is a distributor and not a manufacturer and makes no independent warranties other than those set forth herein. (b) VENDOR’S WARRANTIES: Seller shall also assign to Buyer any Vendor warranties and/or remedies provided to Seller by its Vendor. (c) INTELLECTUAL PROPERTY INFRINGEMENT: SELLER DISCLAIMS ANY AND ALL WARRANTIES AND/OR INDEMNIFICATIONS AGAINST INFRINGEMENT OF ANY INTELLECTUAL PROPERTY RIGHTS OF ANY NATURE. SELLER SHALL, IF GIVEN PROMPT NOTICE BY BUYER OF ANY CLAIM OF INTELLECTUAL PROPERTY INFRINGEMENT WITH RESPECT TO ANY GOODS SOLD HEREUNDER, REQUEST THE MANUFACTURER TO GRANT FOR THE BUYER SUCH WARRANTY OR INDEMNITY RIGHTS AS THE MANUFACTURER MAY CUSTOMARILY GIVE WITH RESPECT TO SUCH GOODS. (d) LIMITATIONS: THERE ARE NO OTHER WARRANTIES WRITTEN OR ORAL, EXPRESS, IMPLIED OR BY STATUTE. NO IMPLIED STATUTORY WARRANTY OF MERCHANTABILITY OR FITNESS FOR A PARTICULAR PURPOSE APPLIES. NO REPAIR OF GOODS OR OTHER COSTS ARE ASSUMED BY SELLER UNLESS AGREED TO, IN ADVANCE, IN WRITING. 15. LIMITATIONS OF LIABILITY: SELLER’S AND ANY VENDOR’S TOTAL LIABILITY TO BUYER, BUYER’S CUSTOMERS OR TO ANY OTHER PERSON, RELATING TO ANY PURCHASES GOVERNED BY THESE TERMS & CONDITIONS, FROM THE USE OF THE GOODS FURNISHED OR FROM ANY ADVICE, INFORMATION OR ASSISTANCE PROVIDED BY SELLER (BY ANY METHOD, INCLUDING A WEB SITE), IS LIMITED TO THE PRICE OF THE GOODS GIVING RISE TO THE CLAIM. NEITHER SELLER NOR ITS VENDORS SHALL BE LIABLE FOR ANY SPECIAL, INCIDENTAL, DIRECT, CONSEQUENTIAL OR PENAL DAMAGES (INCLUDING, BUT NOT LIMITED TO BACKCHARGES, LABOR COSTS, COSTS OF REMOVAL, REPLACEMENT, TESTING OR INSTALLATION, LOSS OF EFFICIENCY, LOSS OF PROFITS OR REVENUES, LOSS OF USE OF THE GOODS OR ANY ASSOCIATED GOODS, DAMAGE TO ASSOCIATED GOODS, LATENESS OR DELAYS IN DELIVERY, UNAVAILABILITY OF GOODS, COST OF CAPITAL, COST OF SUBSTITUTE GOODS, FACILITIES OR SERVICES, DOWNTIME, OR CLAIMS FROM BUYER’S CUSTOMERS OR OTHER PARTIES). IF SELLER FURNISHES BUYER WITH ADVICE OR OTHER ASSISTANCE WHICH CONCERNS ANY GOODS SUPPLIED HEREUNDER, OR ANY SYSTEM OR EQUIPMENT IN WHICH ANY SUCH GOODS MAY BE INSTALLED, AND WHICH IS NOT REQUIRED PURSUANT TO THESE TERMS & CONDITIONS, THE FURNISHING OF SUCH ADVICE OR ASSISTANCE WILL NOT SUBJECT SELLER TO ANY LIABILITY, WHETHER BASED ON CONTRACT, WARRANTY, TORT (INCLUDING NEGLIGENCE) OR OTHER GROUNDS. 16. EXPORTS: If Goods are sold for export, Seller’s standard terms & condition for export sales apply. Acceptance of export orders is not valid unless confirmed in writing by Seller. Buyer, NOT Seller, is responsible for compliance with all United States export control rules and regulations. Buyer shall not name Seller as shipper or exporter of record in connection with the export of any Goods purchased from Seller. 17. ANTI-MONEY LAUNDERING RESTRICTIONS: Seller rejects questionable orders and payments: Except for pre-approved credit arrangements, Seller rejects third-party payments, cashiers’ checks, money orders and bank drafts. Seller accepts only checks imprinted with Buyer’s name; wire transfers originated in Buyer’s account; letters of credit with Buyer as account party; and credit or debit cards in Buyer’s name. All payments must be by single instrument in the amount of the invoice, less credits, from banks acceptable to Seller. 18. GOVERNING LAW: These Terms & Conditions and all disputes related to it shall be governed by the laws of the State of California, United States of America, without giving effect to its conflict of law rules. 19. SHIPPING: We reserve the right to overship or under-ship by 3%. 20. HOLD HARMLESS: Buyer agrees to indemnify and hold harmless General Aircraft Company(seller) and its subsidiaries, affiliates and agents and their respective officers, directors, shareholders and employees (collectively “Indemnitees”) against any and all damage, loss, liability, cost or expense the Indemnitees may sustain (including without limitation, reasonable attorneys’ fees and expenses ) resulting and arising out of or relating to directly or indirectly to agreements made with seller or relating to directly or indirectly to buyers activities or agreements with third parties to this agreement or the goods and services provided seller.